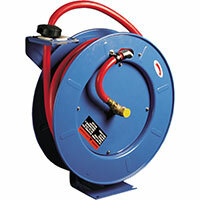 The VMAC DTM 70 CFM air compressor is a direct-transmission mounted PTO driven air compressor. 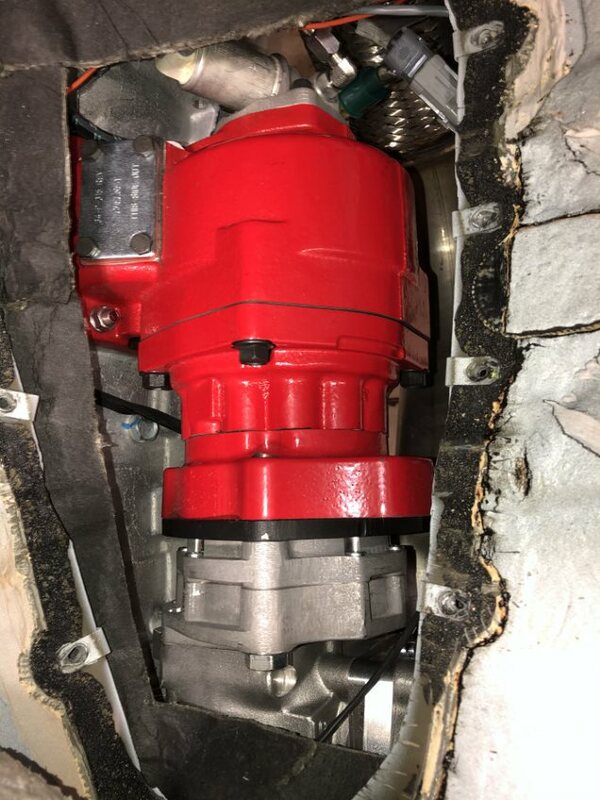 This system is the best choice for customers who are concerned with saving space and reducing weight on their service trucks. The powerful rotary screw air compressor is ideal for operating small to medium sized air tools with high air demand, like 1” impact wrenches, 60 lb jackhammers, backfill tampers, vertical/horizontal grinders and sanders. 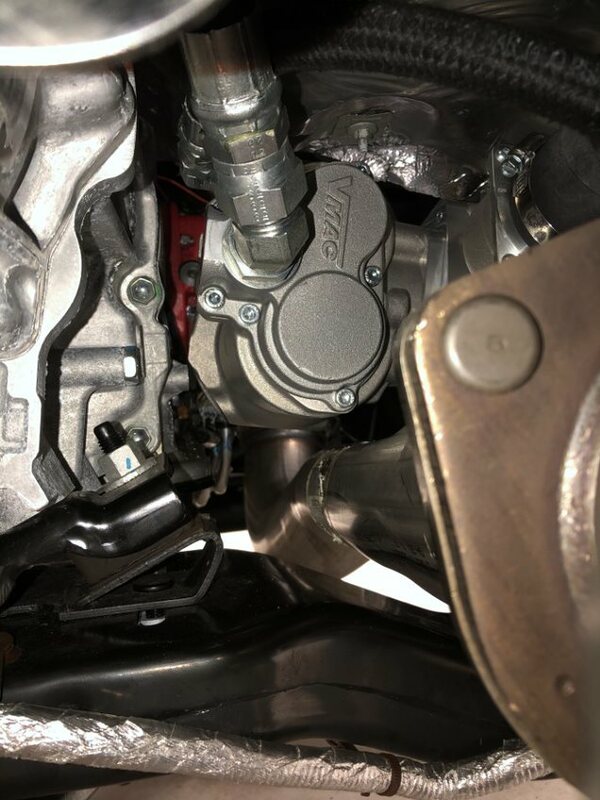 The system is designed for the Ford F250 to F750 Super Duty 6.7L Power Stroke diesel 4x2 and 4x4 work truck with TorqShift™ Automatic Transmission and the RAM 3500 to 5500 chassis cab 6.7L Cummins diesel 4x2 and 4x4 work truck with AISIN Automatic Transmission and PTO prep package (option code LBN). Up to 70 CFM. 100% of the time. VMAC DTM70 air compressors use patented rotary screw technology designed to run at 100% duty cycle without stopping, so operators don’t have to wait for their air compressor to fill an air receiver tank. This maximizes tool performance and eliminates downtime. 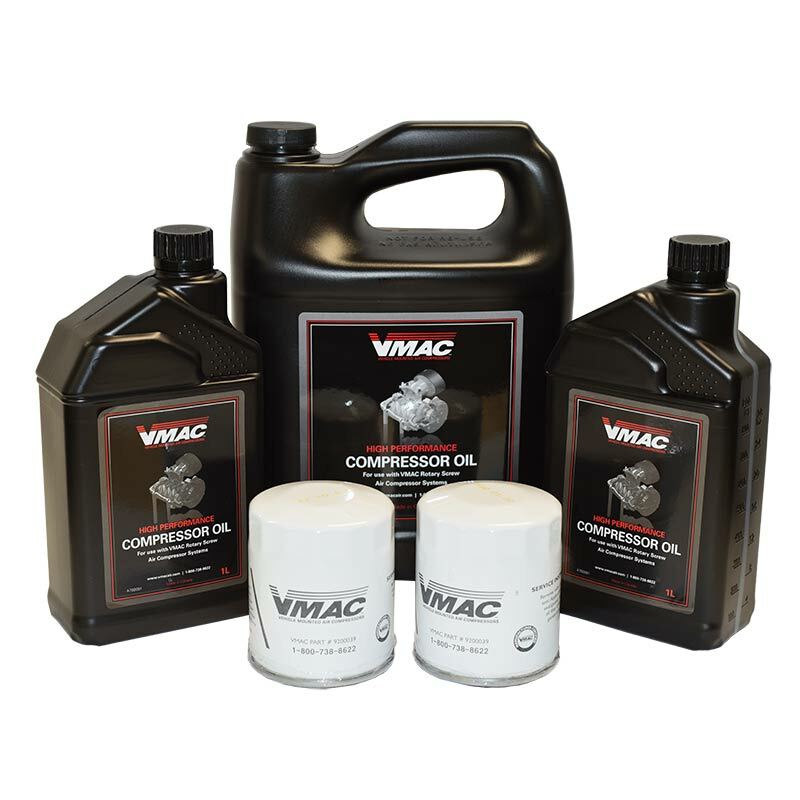 VMAC DTM70 air compressors reduce truck weight by as much as 260 lbs. This is because there is no secondary engine to carry around on your truck. 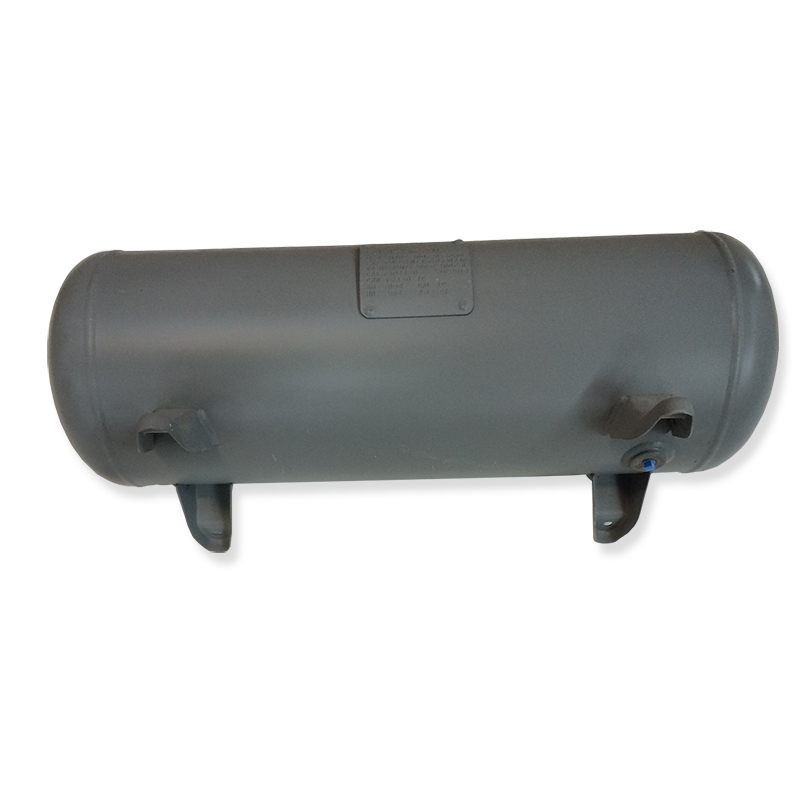 And when compared to other under deck air compressors, at only 150 lbs the DTM70 weighs a fraction. Choosing a lightweight air compressor means you’ll be able to add more tools and equipment to your truck, carry more materials, or take advantage of better fuel economy. 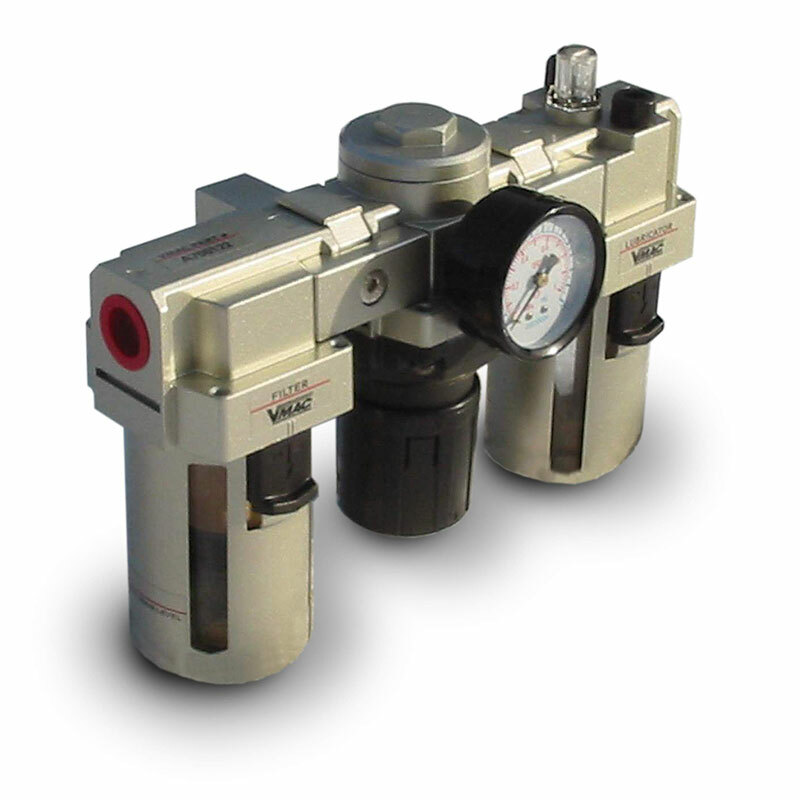 VMAC DTM 70 CFM air compressors feature easy to use controls; simply press the on/off button on the digital control box and the system will take care of the rest. The PTO engages, the compressor turns on, and the throttle control automatically idles the truck engine up and down to match air demand. For cold climate operation, there is a heater built into the compressor which automatically warms up on the way to the job so it is ready to work when you are. VMAC DTM 70 CFM air compressors are easy to install, making installation times up to 50% faster than other under deck air compressor systems. 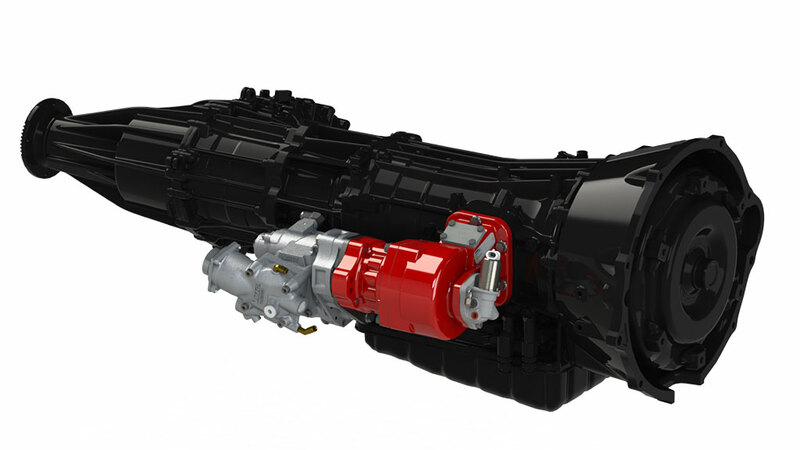 No modifications are required to the RAM or Ford transfer case. No drive shafts are required to cause alignment issues. Traditional under deck air compressors for RAM and Ford Super Duty trucks are extremely heavy, have poor ground clearance, and require additional sourcing of components. 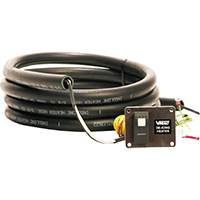 VMAC mounting kits are application engineered for RAM and Ford diesel trucks and include all the necessary components. VMAC DTM 70 CFM air compressors free up to 25 cubic feet on the truck deck because the air compressor mounts to the transmission, and the rest of the system mounts under the truck. In fact, no components get installed on the truck deck which ensures a clean and professional looking truck, and space for other equipment, tools or materials. 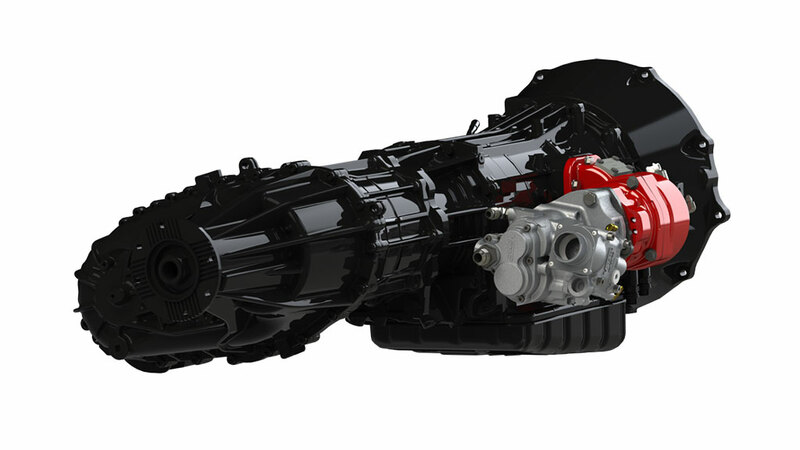 VMAC DTM 70 CFM air compressors are powered by a PTO mounted on the truck’s transmission. Because they don’t have their own engine that needs constant maintenance, less time and money is spent on fixing engine issues and more time is spent on jobs making money. 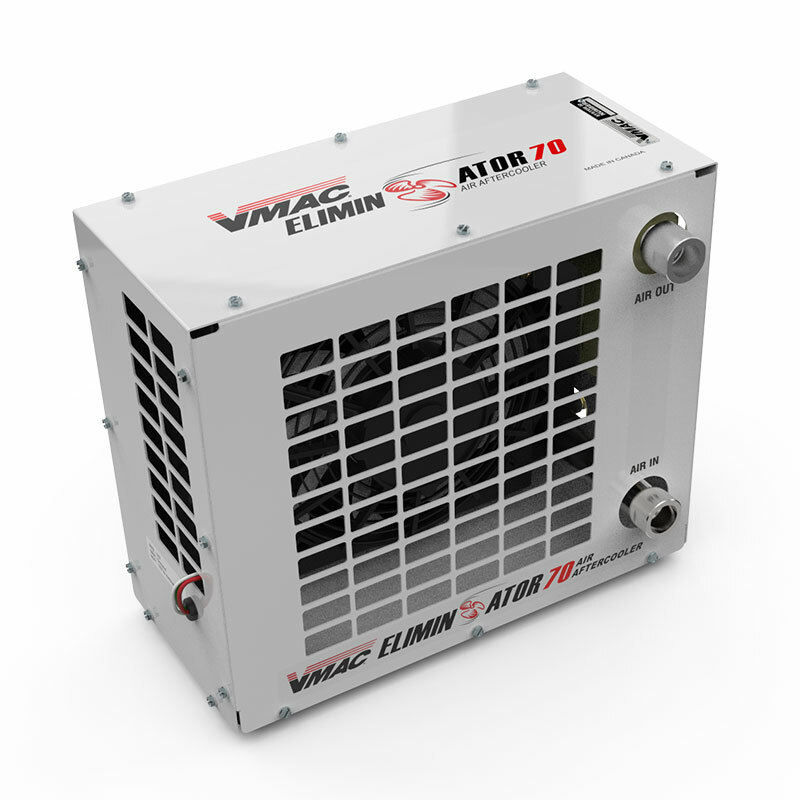 VMAC DTM 70 CFM air compressors are proven to work in any extreme climate. With an integrated automatic heater, the compressor is ready to work when you are. 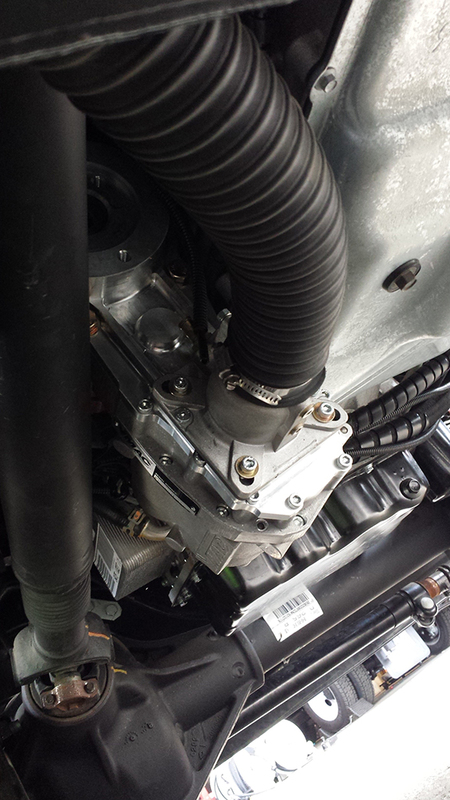 Remotely mounted on the firewall in the engine compartment for easy access for setup/adjustment. 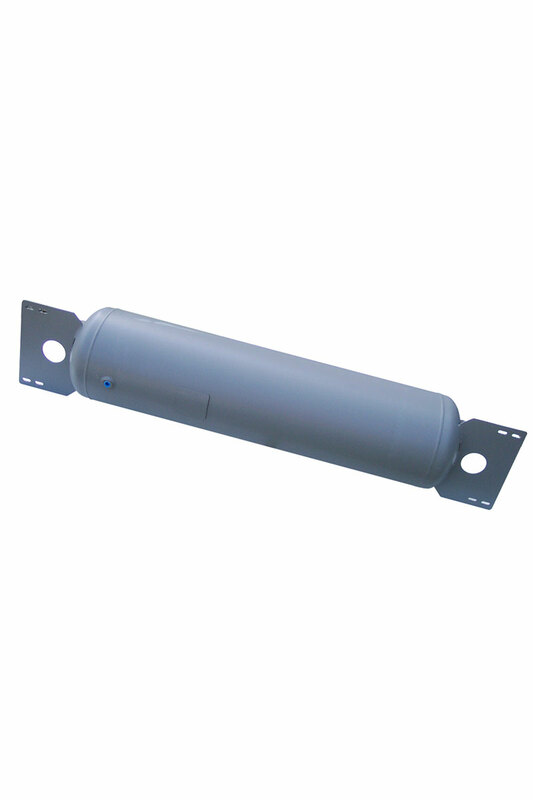 Separates compressor oil from compressed air and mounts safely to the truck’s frame rail. Digital control box and throttle control mount in the cab, automatically idles up the truck engine to match air demand, automatically warms compressor as needed. Remotely installed on truck for easy accessibility. Automated heater integrated into the compressor housing for cold climate operation, heats up the compressor on the way to the job site. Liquid to liquid cooler integrates into truck’s cooling system and mounts under the radiator. 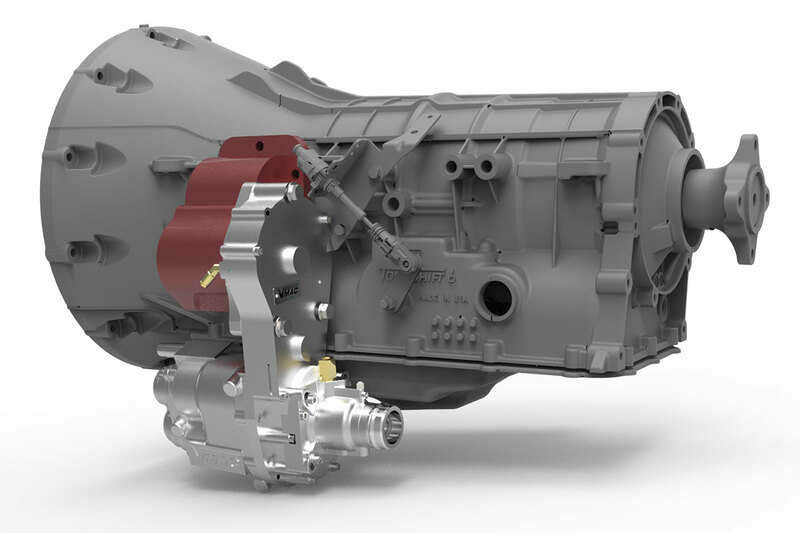 Unique patent pending design that provides best in class noise reduction and unprecedented torque capacity of 200 Ft. Lbs. Warranty: VMAC Lifetime Warranty on VMAC air compressors; two years on all other major components; for details, visit www.vmacair.com/warranty.